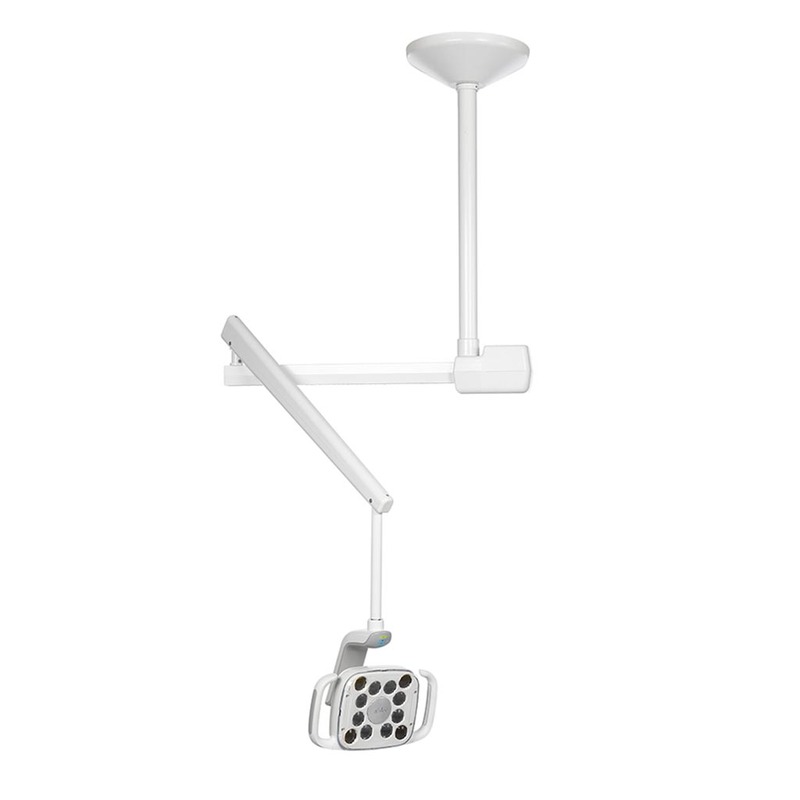 Low heat, no noise: Because the A-dec 500 LED dental light doesn’t emit heat or require a fan for cooling, it’s both comfortable and quiet. 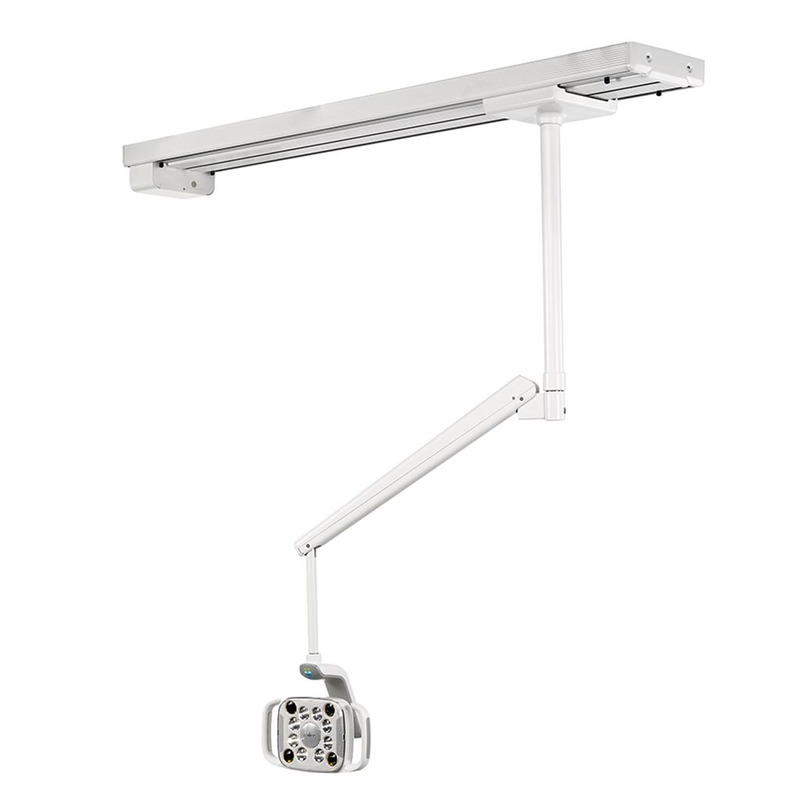 Three-axis, 540º horizontal rotation light head adjustment.Provides unlimited positioning. 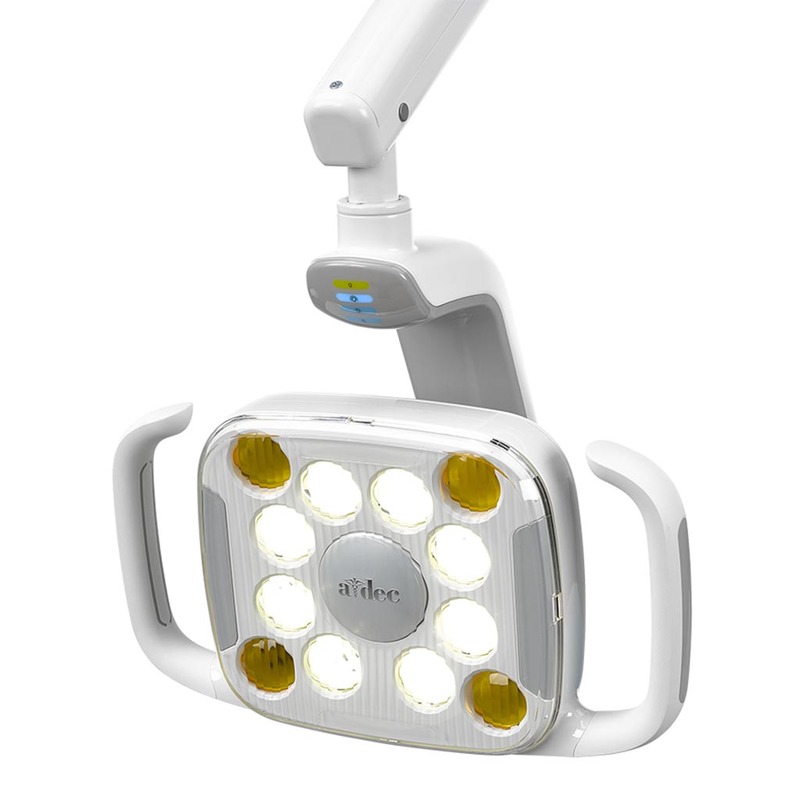 Three light intensity settings.Features three intensity settings of 15,000, 25,000, and 30,000 lux. 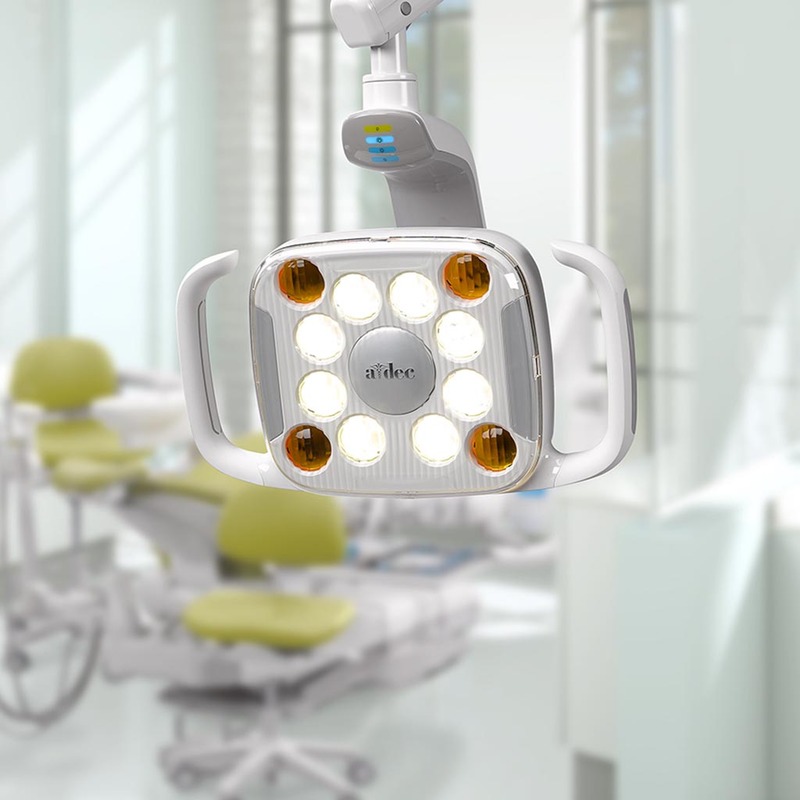 Cure-safe mode.Enables the dental team to work effectively at 25,000 lux illumination without curing photo-initiated resins. 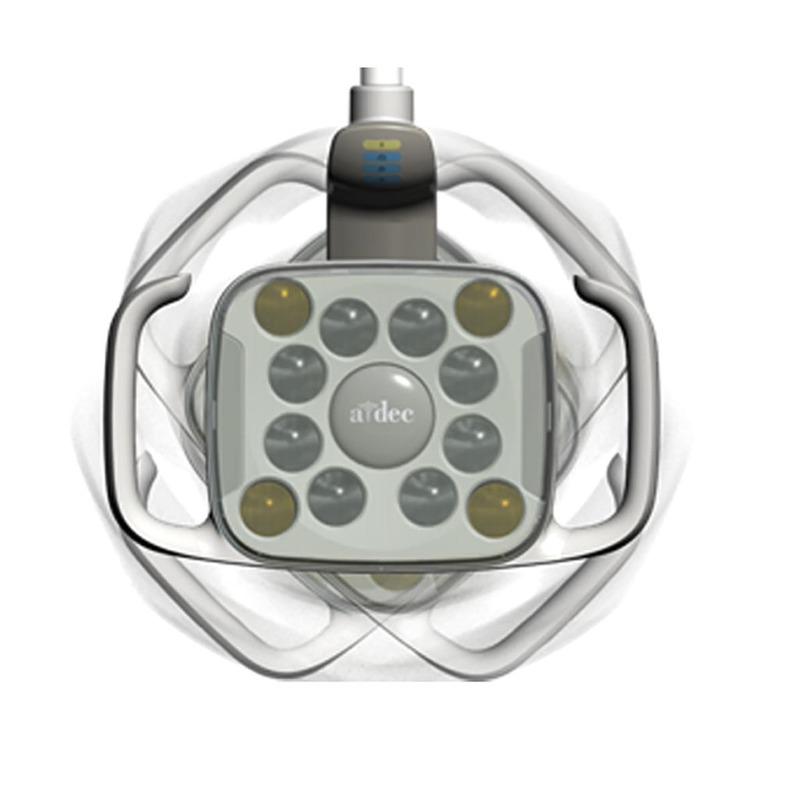 Auto On/Off function.Turns the dental light on automatically when the chair reaches the treatment position and turns it off in the entry/exit position when combined with the A-dec 500, A-dec 400, A-dec 300, A-dec 200 and Performer systems. 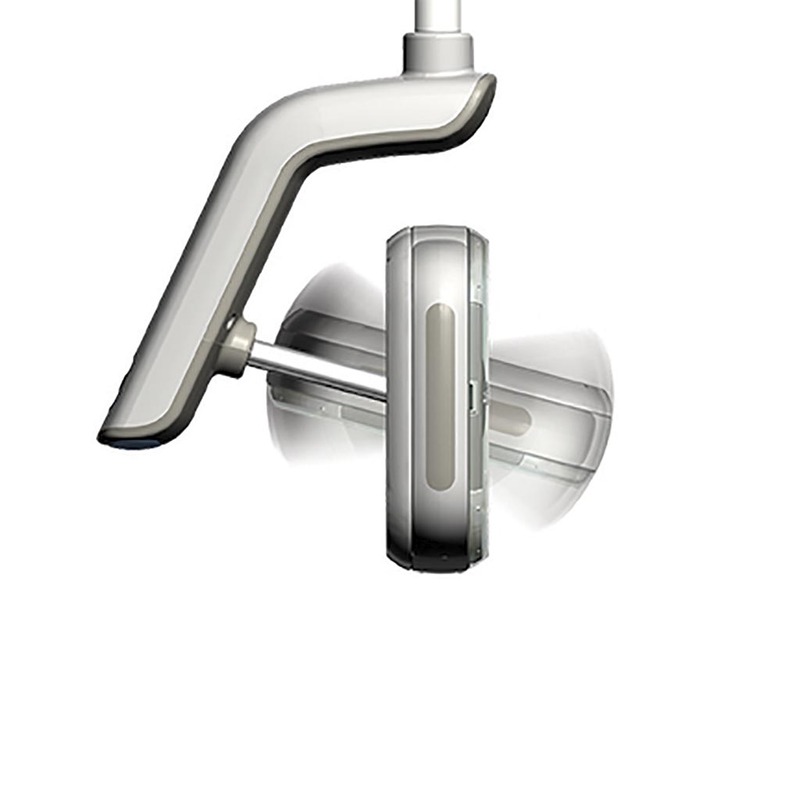 Remote touchpad activation.Allows you to toggle between settings and turn the dental light on and off without having to touch the light head. Local switching.Enables easy change of mode by the entire dental team when the touchpad is not available. 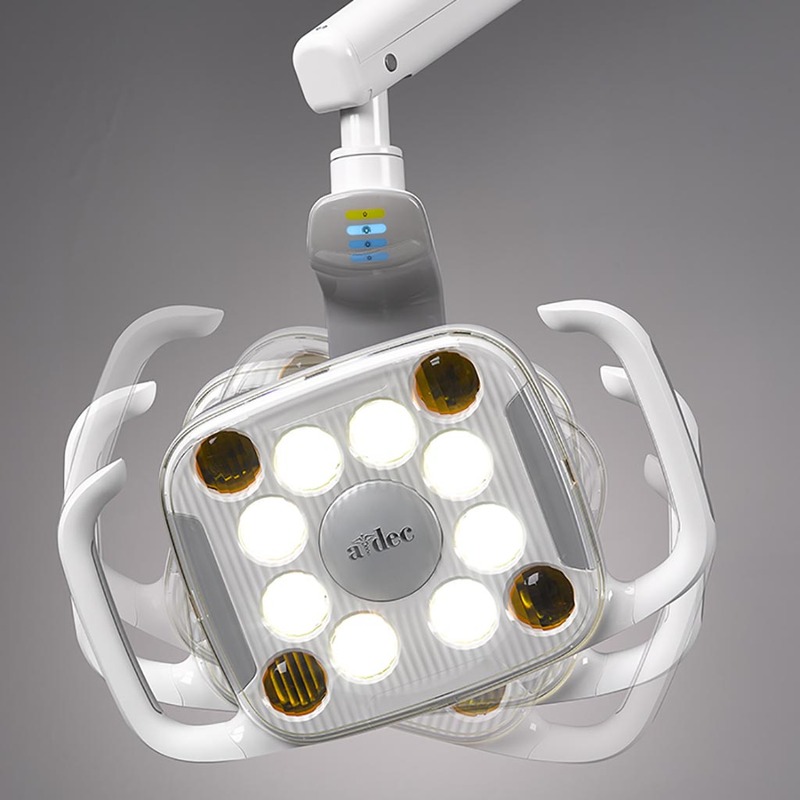 Long-lasting LEDs.Uses about 1/5th the power of a traditional quartz halogen light with a life expectancy of up to 40,000 hours, or nearly 20 years of daily use.